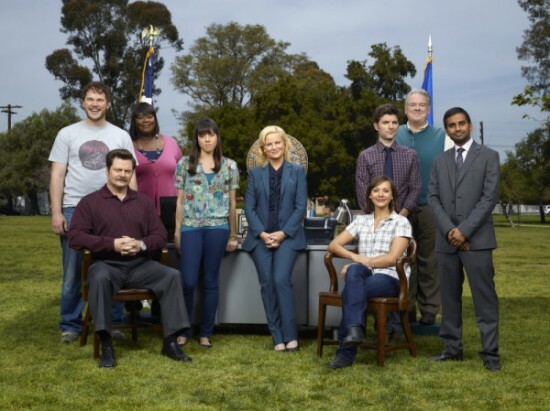 Let me just get this right out there: “Parks and Recreation,” which currently airs Thursdays at 9:30 p.m. on NBC, is the best comedy on television, and one of the best shows on TV, period. So why aren’t people watching? The series got off to a bit of a rocky start two years ago, when it aired its first six−episode mini−season. I enjoyed it, giving it a 3−1/2 star review in the Daily, but noted that it skewed too closely to “The Office” (with which it shares the mockumentary style and co−creators Greg Daniels and Michael Schur) and relied too heavily on Amy Poehler’s lead performance. Daniels and Schur seemed to be listening, for when the show came back the next fall for its second season, it hit the ground running, delivering a string of 24 episodes so solid, I’d be hard−pressed to single out a weak spot. The third season, rather than beginning last September with the rest of the NBC comedy block, was held until January of this year. The scheduling hiatus did nothing to kill the creative momentum, though, and this season’s episodes have been just as strong, if not stronger, than anything that came before. This entry was posted in BP at the Daily, Parks & Recreation and tagged Amy Poehler, Aziz Ansari, Comedy, NBC, Parks and Recreation, Second Chances, Sitcom, Television, TV. Bookmark the permalink.